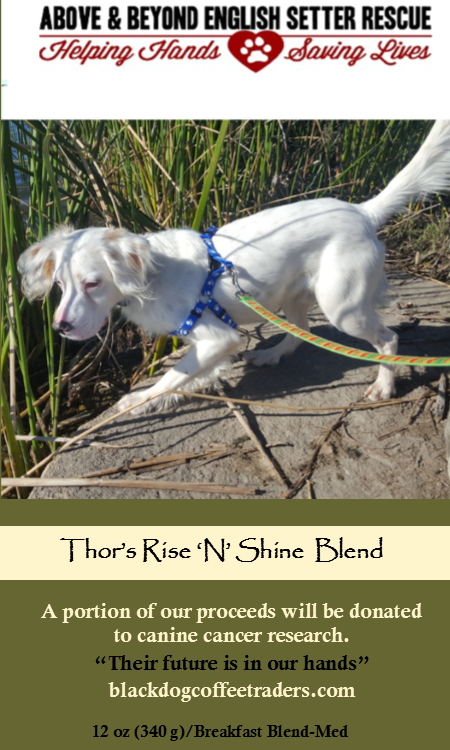 Support Above and Beyond English Setter Rescue by treating yourself to some great coffee. 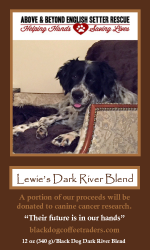 During the months of April and May, Black Dog Coffee Traders will generously make a donation to A&B ESR for every bag of their specially-labeled coffee sold to our supporters. Black Dog Coffee Traders is dedicated to selling superbly roasted coffee blends from the best coffee regions in the world. 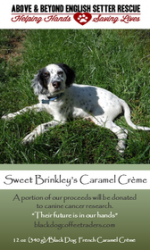 Since their beginning, they have donated 5% of their profits to the AKC’s Canine Health Foundation for the purpose of canine cancer research. 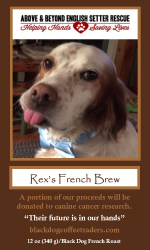 They also periodically further support their goal of “celebrating the canines that we spend our lives with” through donations to a limited number of other dog-related charities based on sales of coffee to the charities’ supporters. A&B ESR is lucky to be one of those charities. Black Dog Coffee Traders also sells coffee accessories. If you use a Keurig coffee-maker, there is a reusable filter available on the website that allows this coffee to be brewed in a Keurig. 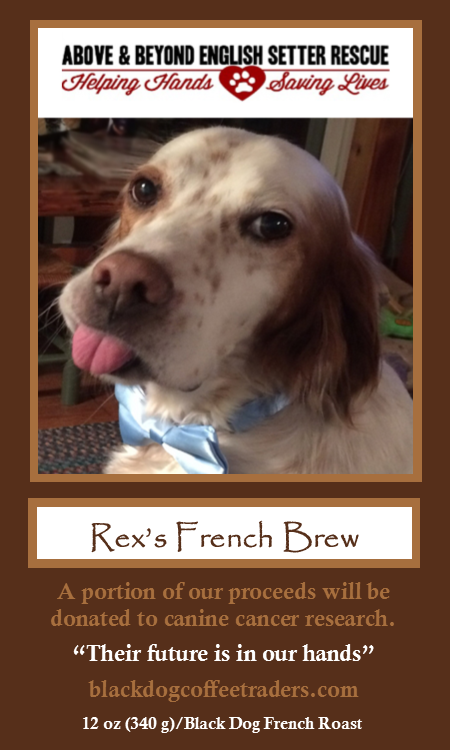 This generous donation and the opportunity to have these special setters cheering you when you make your coffee will only be available between April 1 and May 31 so do not delay placing your orders. Thank you for supporting our English Setters.